Would you like to organize a nice party for your company, teambuilding or just spend a nice evening with some colleagues? Choose one of our successful programs which you can complete or mix as you like with additional services or tidbits. You already know in which program you are interested? Send us a not binding reservation of the program you have chose with the number of persons, the date of the party, the request of accomodation or other specific wishes with which you want to complete your program. We will contact you as fast as it is possible, check whether the date is not occupied, work out the calculation of your request and together we will discuss about the details to make your party perfect. 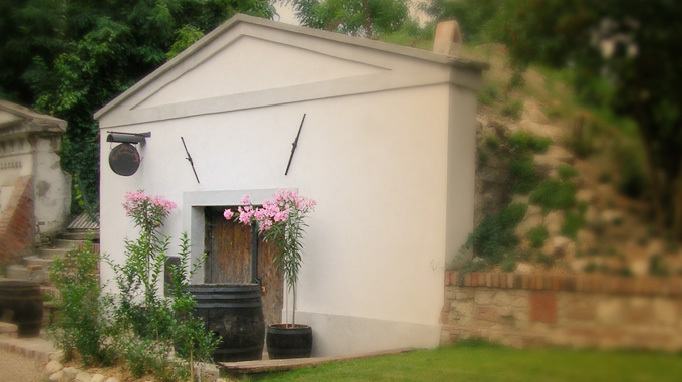 For the real gourmets, who render homage to wine of high quality, there will be prepared 10 sorts of wine of the leading vinters in our region, so you get the best what the wineries of Pálava can offer. The wine-tasting will be complete with information of our professional somelier. We will serve our speciality- chicken leg filled with potato pancake- mixture, eventually grilled meat (steaks, pork neck, pork chop). You will find roasted almonds, olives, cheese Grand Moravia, dried fruits, homemade pies, bowls with smoked meat, bread and pickled vegetables. Every participant will get a bottle of his favorite wine as a souvenir. You can mix or complete your party according to your wishes with one of our supporting programs. 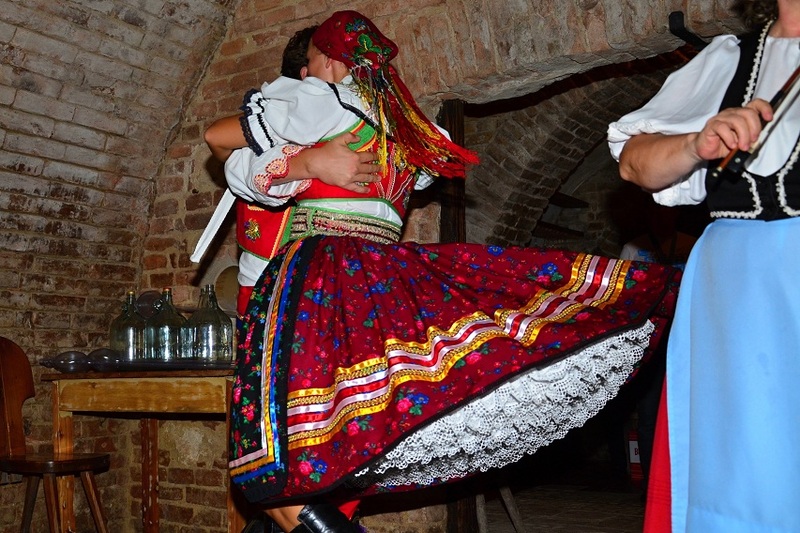 You can enjoy everything what belongs to a traditional cellar during one evening. A wine-tasting of 7 sorts of wine with a somelier. In the program are included platters with smoked meat and cheese, tidbits of pig-stickings, pies, pickled vegetables and a delicious homemade paste. 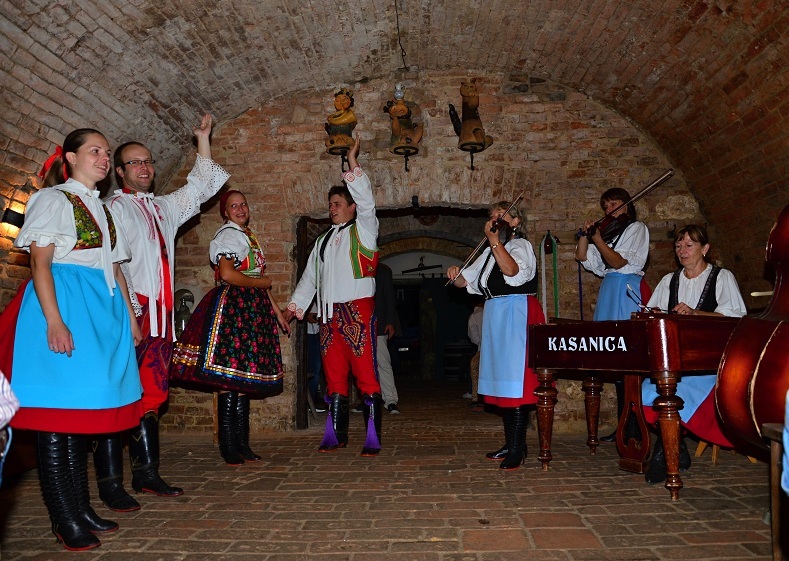 You can improve the atmosphere with live accordion-music or a cimbalo-group. You can complete your party with a warm dinner or another supporting program so that you mix your party by your own. Non-alcoholic drinks are not included in the price of this program. A rich meal and wine what your mouth dreams of. This program is especially destined for lovers of meat, prepared as at home. As the main course is served grilled meat. In the price is included grilled pork chop, brisket, chicken leg and wings. Besides their is the choice of tidbits of pig-stickings, cheese and platters with homemade smoked meat with pickled vegetables. Even our famous homemade paste and bread will be not missing. 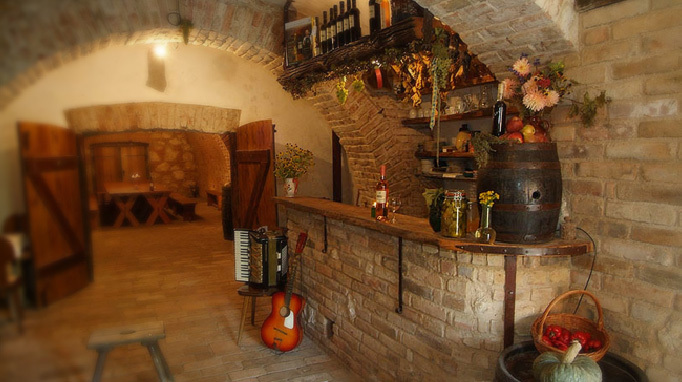 In the price of the program is also included a visit in the cellar for about 5 hours together with unlimited consummation of wine by the glass. Of course you can modify or complete your program (for example with a tombola, cimbalo-music or with one of our other supporting programs). If you want a unique flavour-experience, we recommend one of our degustations accompanied by our somelier in the list below. Non-alcoholic drinks are not included in the price of this program. You will have the oportunity to taste with our somelier 7 sorts of wine (usually 5-6 white wines and 1-2 red wines). During the one to one and a half hour wine-tasting our somelier will tell you the story of the different sorts of wine. We recommend this degustation particularly to our programs „WHAT YOUR MOUTH DREAMS OF“ and „FRIENDLY GET-TOGETHER“. You will have the oportunity to taste with our somelier 10 sorts of wine (usually 7-8 white wines and 2-3 red wines). During the one and a half hour wine-tasting our somelier will tell you the story of the different sorts of wine. We recommend this degustation particularly to our programs „WHAT YOUR MOUTH DREAMS OF“ and „FRIENDLY GET-TOGETHER“. 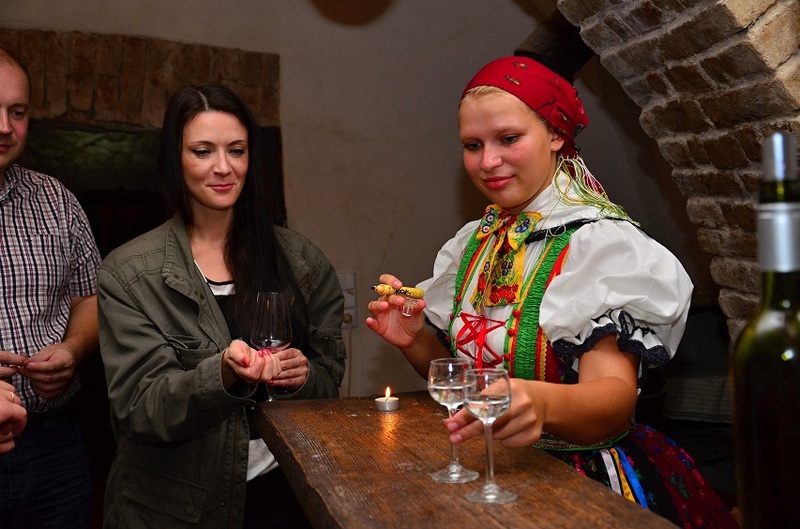 This program is primarily for those who does not like to be limited in the amount of consumed wine and want to enjoy enough of this delicious beverage during the whole evening in the cellar. 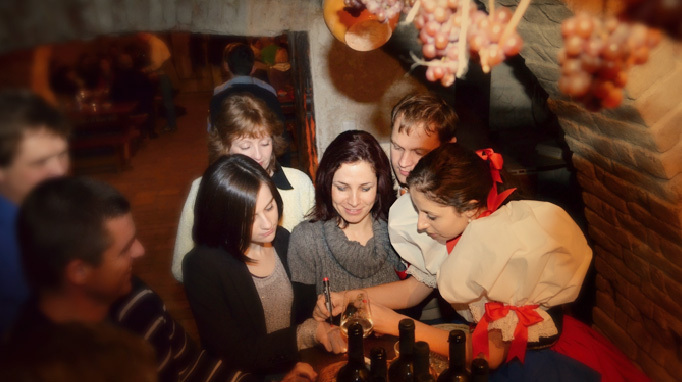 In the prize of the program is included a visit of our cellar together with a 5 hour free consumption of wine by the glass according to our actual wine-list. We recommend this program particularly to groups who don’t want to be limited in the consumption of wine. 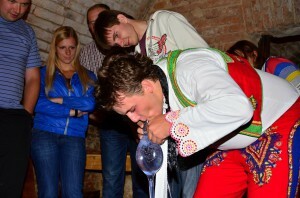 This variation is proper as a supporting program to „FRIENDLY GET-TOGETHER“ and „TRADITIONAL GATHERING IN THE CELLAR“. Under the professional guidance of our somelier you will learn how to distinguish the main characteristics of wine with the aid of odour, the visual perception and of course the flavour. You will taste 5 different sorts of wine and afterthat your task will be to describe during a blind degustation as exactly as possible the next 5 sorts. The winner, that means the person who has the biggest sensibility and talent gets a bottle of wine. You can choose this program instead of a classic wine-tasting. It is proper for groups up to 20 persons and takes about 2 hours. Every guest gets a wine cap with a number which he can change for a fruit liquor at the bar. During the evening there will be the lot of the winners. According to your wishes the value of the prize can be bigger or smaller. The prizes are mostly regional tidbits and wines. A competiton for a single person or a group. The winner will get a reagional souvenir or a bottle of wine according to his wishes.